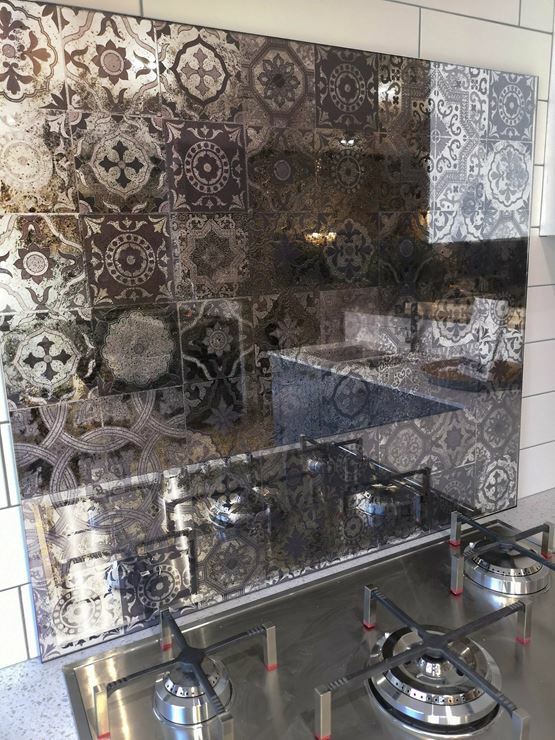 Moroccan Tiles Antique Mirror Glass Splashback. 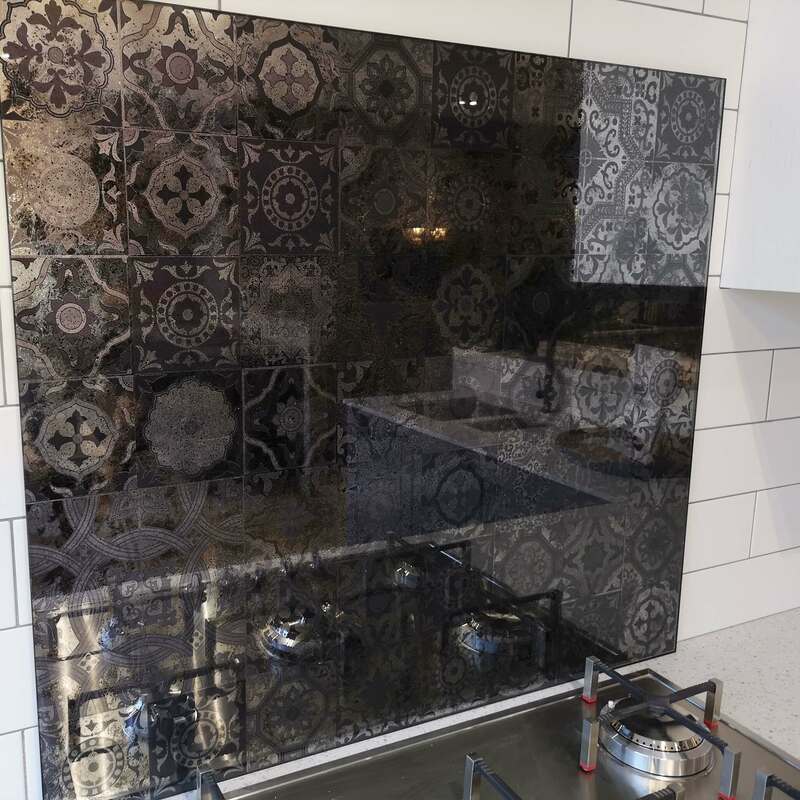 Bespoke Toughened Glass Antique Mirror Effect Splashbacks for Kitchens, suitable for use behind all hob types including gas. 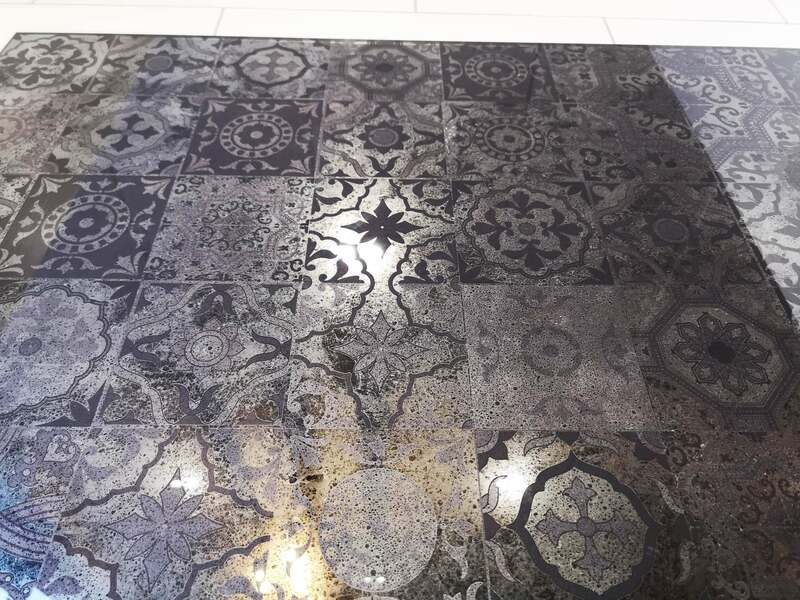 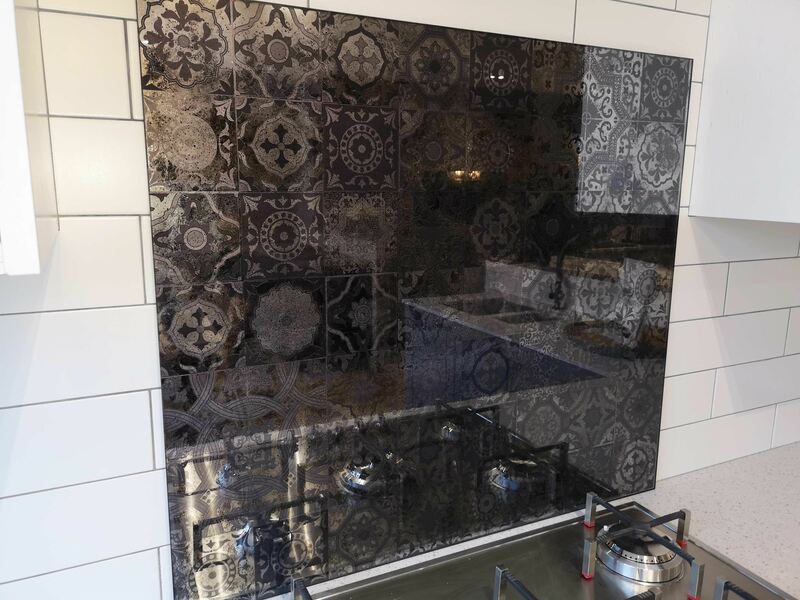 Normal mirror cannot be used behind a heat source as it will crack, we are one of a select group of British manufacturers who can produce made to measure Toughened Mirrors. Manufactured from toughened glass our mirrors are heat resistant to over 400 degrees Celsius. 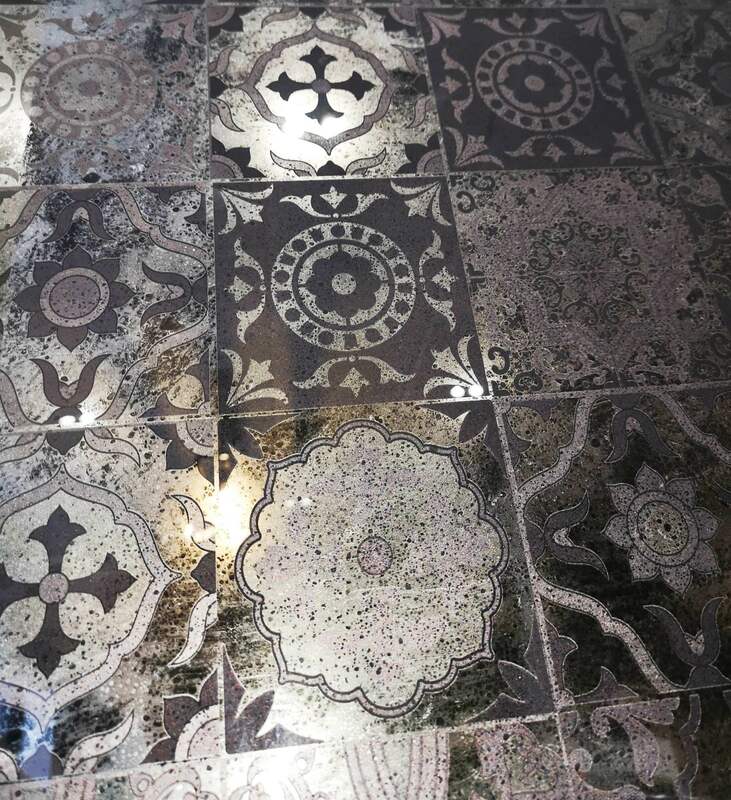 Above photo is GREY mirror.